Adcock, L. & Bolick, C. (2011). Web 2.0 Tools and the Evolving Pedagogy of Teacher Education. 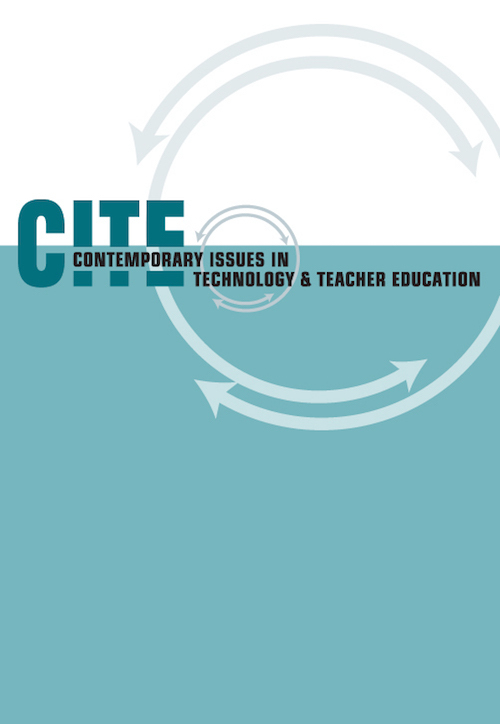 Contemporary Issues in Technology and Teacher Education, 11 (2), 223-236. Waynesville, NC USA: Society for Information Technology & Teacher Education. Retrieved April 20, 2019 from https://www.learntechlib.org/primary/p/35970/. Apple, M.W. (1999). Power, meaning, and identity: Essays in critical educational studies. New York, NY: P. Lang. Banks, J.A. (1993). Multicultural education: Development, dimensions, and challenges. Phi Delta Kappan, 75(1), 22-28. Bates, A. (2008). Learning to design webQuests: An exploration in preservice social studies education. Journal of Social Studies Research, 32(1), 10-21. Bull, G., Hammond, T., & Ferster, B. (2008). Developing Web 2.0 tools for support of historical inquiry in social studies. Computers in the Schools, 25(3/4), 275-287. Clarke, W.G., & Lee, J.K. (2004). The promise of digital history in the teaching of local history. ClearingHouse, 78(2), 84. Cox, S.M. (2008). A conceptual analysis of technological pedagogical content knowledge. Doctoral dissertation, Brigham Young University, Provo, UT. Demski, J. (2009). Free at last. T.H.E. Journal, 36(6), 39-44. Diem, R.A. (2002). An examination of the effects of technology instruction in social studies methods classes. Paper presented at the annual meeting of the American Educational Research Association, New Orleans, LA. Ehman, L.H. (2001). Using stand-alone Web modules to integrate technology into secondary social studies methods instruction. Journal of Research on Technology in Education, 34(1), 13. Heafner, T., & Friedman, A. (2008). Wikis and constructivism in secondary social studies: Fostering a deeper understanding. Computers in the Schools, 25(3/4), 288-302. Kingsbury, A., & Galloway, L. (2006). Textbooks in the digital age. U.S. News& World Report, 141(14), 63. Lee, J., & Friedman, A.M. (2009). Research on technology in social studies education. Charlotte, NC: Information Age Pub. McIntyre, E., Rosebery, A.S., & Gonzalez, N. (2001). Classroom diversity: Connecting curriculum to students' lives. Portsmouth, NH: Heinemann. McLeod, J., & Vasinda, S. (2008). Critical literacy and Web 2.0: Exercising and negotiating power. Computers in the Schools, 25(3-4), 259-274. Prensky, M. (2001). Digital natives, digital immigrants: Part 1. On The Horizon 9(5), 1-6. Salpeter, J. (2009). Textbook deathwatch: The question it seems is no longer "if?" but "when?" Technology& Learning, 30(1), 26. Stoddard, J.D., Hofer, M.J., & Buchanan, M.G. (2008). The "starving time" wikinquiry: Using a wiki to foster historical inquiry. Social Education, 72(3), 144(146). Surdin, A. (2009). In some classrooms, books area thing of the past. The Washington Post, P. 3. Swan, K., & Hicks, D. (2007). Through the democratic lens: The role of purpose in leveraging technology to support historical thinking in the social studies classroom. The International Journal of Social Studies Education, 21(2), 142-168. Villegas, A.M., & Lucas, T. (2002). Preparing culturally responsive teachers: Rethinking the curriculum. Journal of Teacher Education, 53(1), 20-32.